We specialise on designing custom websites, featuring WordPress CMS, with a focus on the specific needs and targets of each individual client. This is the founding block of any given website – one that we take very seriously. Designing a simple but intuitive website makes the difference between an overlooked website and one endorsed by millions. User Experience has to do with how usable and functional a website is; how intuitive browsing or navigating the website is. Depending on the project at hand, we start by deeply analysing the requirements behind a new website such as the type of business sector, the competition, the type of services or products offered, the call to action necessary based for example on profitability or volume as well as the target audience and demographics. Then, we add User Friendliness into the mix. Brainstorming sessions and office meetings follow to produce and perfect the wireframes that the website will be based upon. We leave no stone unturned in order to make sure that all possible problems are prognosed and solved. This is the artistic part. 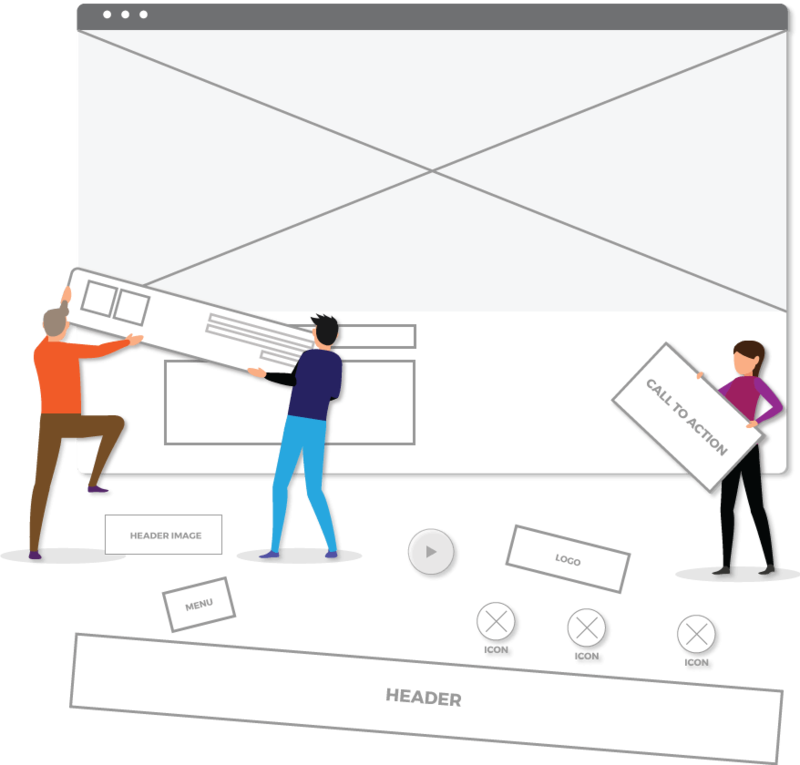 The part were boring and dull wireframes will be dressed to impress. We produce fully custom designs utilising Adobe Illustrator and Photoshop, taking into account brand identity, services or product sector, target audience and many more. This is the part where if something escaped our attention during the design of the wireframe, it will be exposed and ironed out. Sometimes this involves going a step back, ensuring a full harmonisation of the wireframes with the final design. 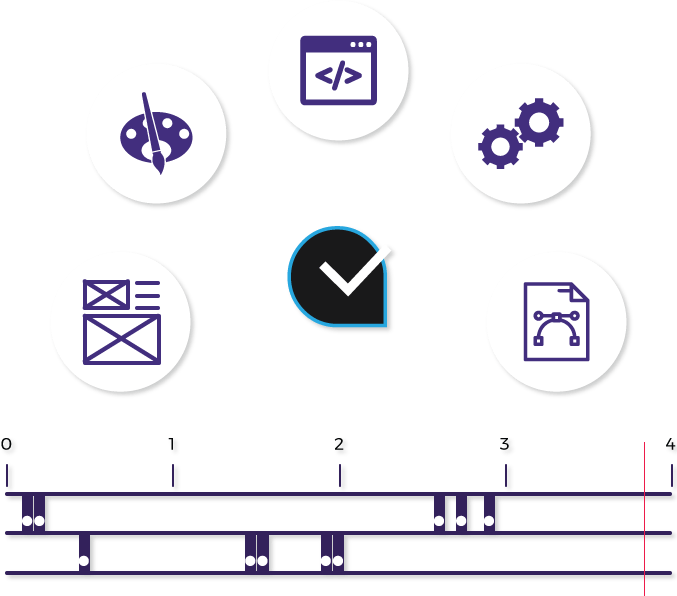 The design has to cleverly adapt to encompass all of the website’s underlining technology and functionality in a non-intrusive but rather experience enhancing way. At this stage, changes to both the wireframe as well as the designs are still fully possible. Customer input and open communication is of vital importance to achieve an optimum result. 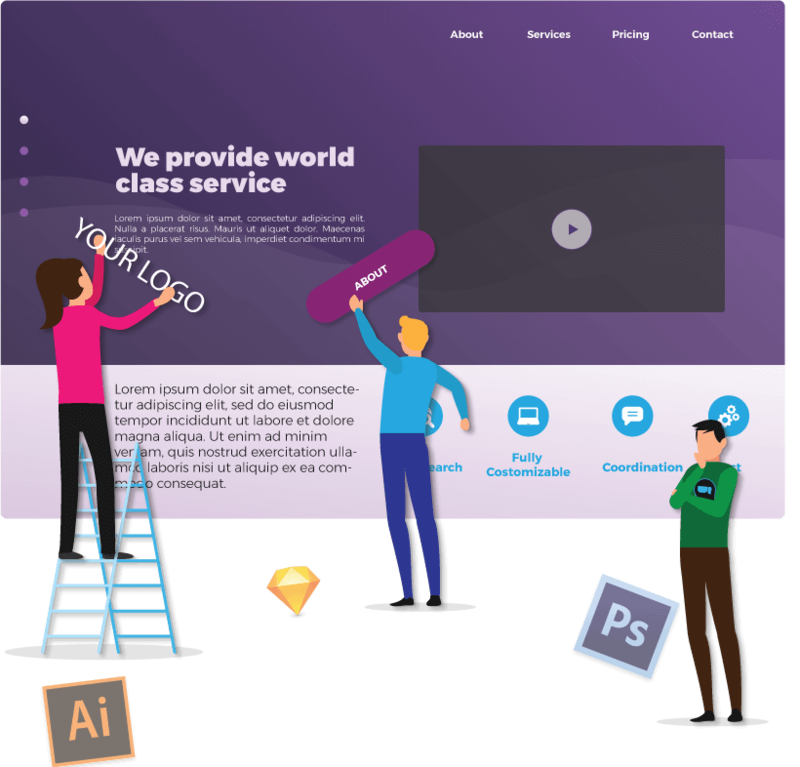 This is where we make sure that the designs are functional and responsive on all devices, operating systems, browser types, screen sizes and screen types, ‘sitting’ perfectly from edge to edge on all given occasions. We leave no single pixel to chance. 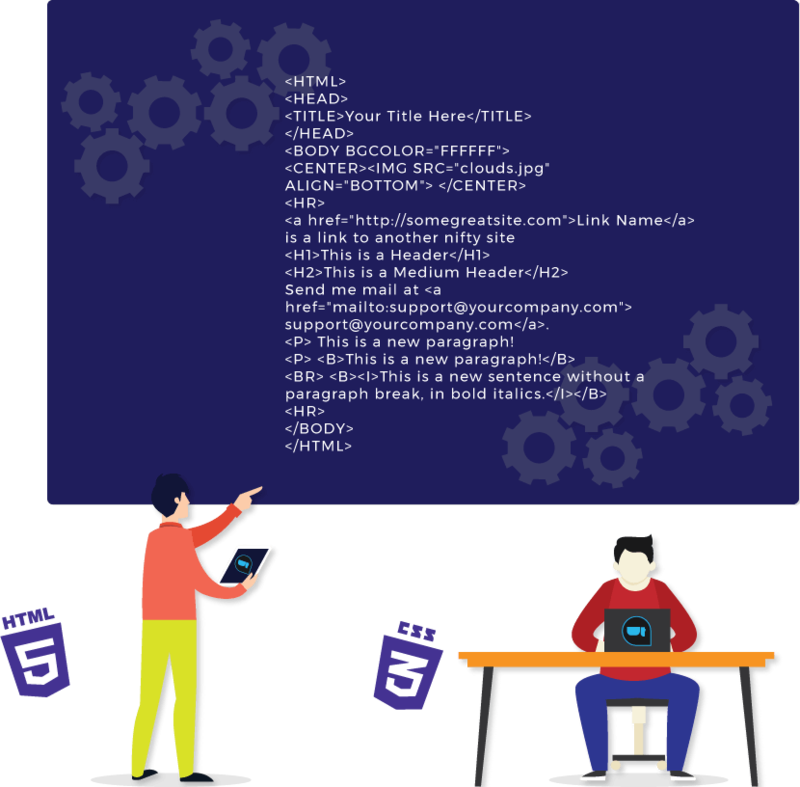 This is the process of connecting the front-end development of any given website with its back-ends such as MySQL databases and the Content Management System. Over the years, we have utilised various types of back-end PHP development. On many occasions, we have produced websites running on our own, in-house, fully custom CMS, as well as Drupal & Magento. From 2012 onwards, we have been developing customised themes and plugins for WordPress. 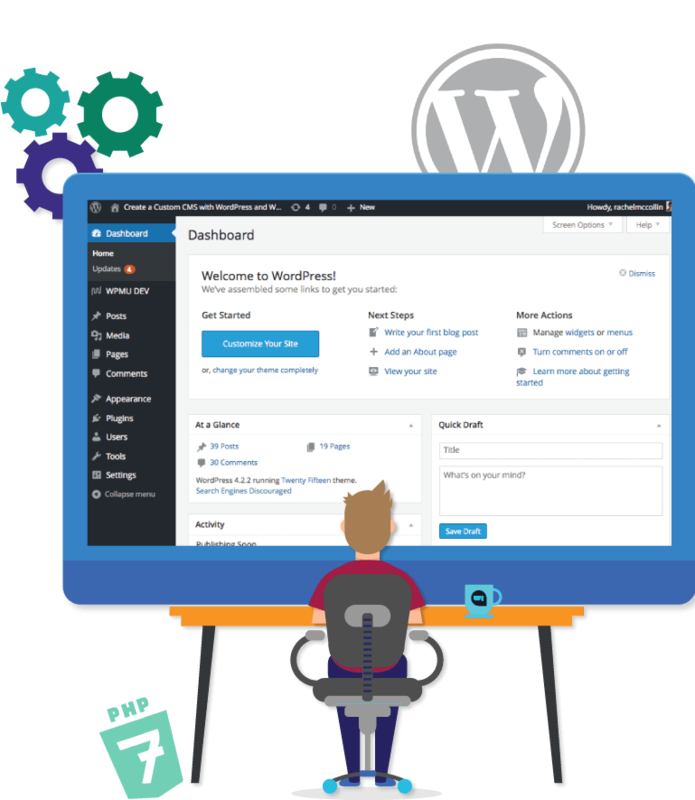 Since then, WordPress has been constantly gaining momentum, with many of our clients specifically requesting this type of back-end development. Although there are now thousands of available WordPress plugins, we focus on utilising only the very best premium ones, because these undergo frequent updates, offer proper support and remain secure. One image equals a thousand words. What about many images in a single frame? Motion & Animation transforms a beautiful design to something spectacular and eye catching. We are determined to keep ourselves amongst the leaders; the pioneers of web design. We have thus incorporated advanced motion and animation in our websites for years now. Motion and animation is used to make a point, highlight an important aspect, direct the visitor to your call to action, or just add fun and creativity. Whatever the challenge, we believe that no detail is too small to be left behind.